…what remains of her is her fragrance. What would the perfume house of Chanel be without Jacques Polge? Of course, there were Chanel perfumes before Polge. But he has done so many of Chanel fragrances and had such an infinite impact on the olfactory aspects of the Chanel brand that it is hard to imagine a bottle with Chanel written on it without the content being if not created than poetically surveyed by Polge. Jacques Polge was born in 1943. During his childhood he spent many summers in Grasse, which he has said what made him aware of the possibility of pursuing a career within the perfume world. 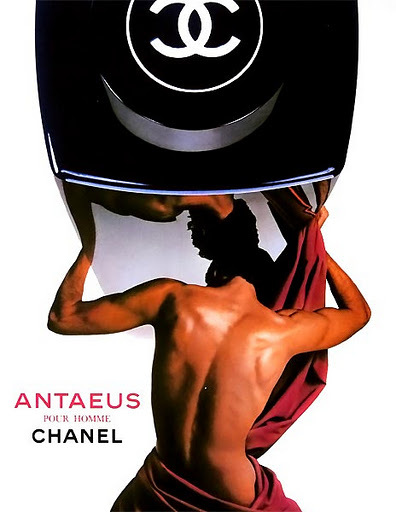 It was in 1978 that he became the house perfumer of Chanel and took over the role from Henri Robert who created, among other perfumes, the last perfume in Gabrielle Chanel’s life, No. 19. Before coming to Chanel, Polge worked at what is now Givaudan (then Roure) and before that he did an apprenticeship in Grasse after taking his degree in English and literature. 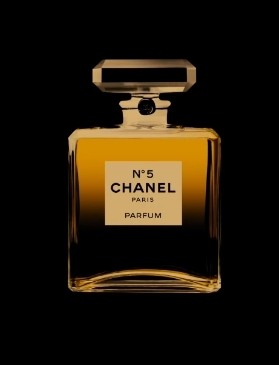 When Polge came to Chanel he took it upon himself to both treasure and renew a perfume brand synonymous with the world’s mot famous perfume, Chanel No 5. This perfume was in fact the first perfume launched by Chanel and there are of course many myths and stories about it’s creation. It was created by Russian-French chemist and perfumer Ernest Beaux who Gabrielle supposedly met through her lover Dmitri. Dmitri knew Ernest Beaux as Beaux was the favorite creator of bespoke perfumes for the Russian court. With Chanel No 5, Gabrielle Chanel, like many other times, challenged what views, offers, restrictions, aesthetics should be associated with men or women. Sometimes we forget the enormous symbolic value this perfume has, political I would even say. Today Chanel is sometimes a bit too superficially regarded as the iconic image of French femininity. We should not forget that Gabrielle Chanel was quite avant-garde when it comes to gender equality matters. When it comes to Chanel No 5, the design of the bottle was a provocation to what was “design for women”. It was clean, bold. (The bottle has looked the same since 1924 with modifications done only to the stopper). For the content, well at that time respectable women often chose solifleurs. Heavier perfumes with for example musk were associated with sexual provocation and therefore with more physically generous types of women. And then there was the liberated flapper. Chanel No 5 was for her. Gabrielle was exposed to numerology already as a child as the convent orphanage where she was raised, Aubazine, was founded by Cistercians who were strong believers in numerology. To them, the number five was very significant. In 1920 during the process with the development of a fragrance for Chanel, Gabrielle was presented with numbered glass vials she chose the sample composition contained in the fifth vial. (The number five reoccurs, Gabrielle would present dress collections on the fifth of May for example). 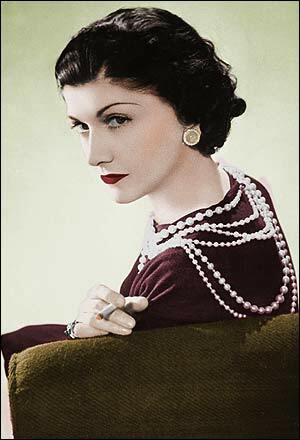 Gabrielle Chanel challenged many conventions about femininity during her lifetime. But Chanel is not really a very unisex kind of perfume house. If you take a look at Antaeus (sage, myrtle, patchouli, sandalwood, labdanum, beeswax) for example this is what you get. 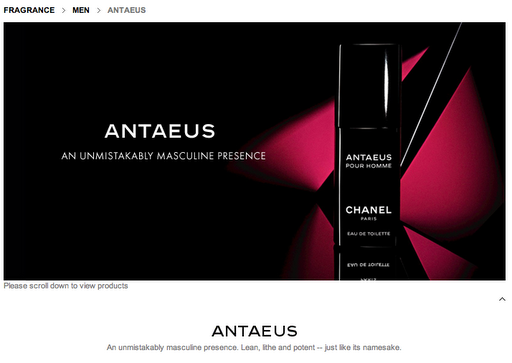 However, as you might recall from my post on pour homme and pour femme, there are men who for example use Chanel No 5. I think if Gabrielle could visit us for a moment and have a cigarette in a café and read the thread I recommended….she would have loved it. On my personal Chanel wish list are samples of the fragrances from the line Les Exclusifs de Chanel. When this line was launched in 2007, Chanel took a new step by offering the line on chanel.com. This increased accessibility tactic got some media coverage and was a step that was completely in line with Gabrielle Chanels vision of accessible style. Les Exclusifs de Chanel includes four scents created by Ernest Beaux (Chanel no. 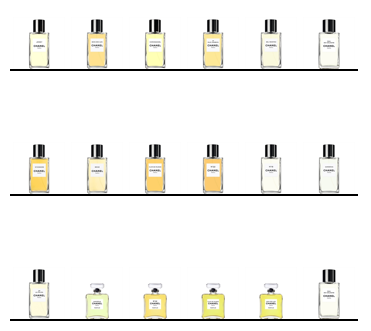 22, Bois des Iles, Gardenia and Cuir de Russie) and six new fragrances (Bel Respiro, 28 La Pausa, 31 Rue Cambon, Coromandel, no. 18 and Eau de Cologne). In 2008, Sycomore and Beige were added and in 2011, Jersey. I have a particular weakness for No 22, which Beaux created in 1922. Also the naming of the perfumes was revolutionary in their uncomplicated conceptual form. Gabrielle Chanel preferred simplicity and the symbolism of numbers. No 22 is also a floral aldehyde but with nutmeg, bourbon vanilla and Florentine iris. After No 22 came Bois des Iles, created in 1926. This perfume took Chanel perfumes in a new direction. It was a romance with the exotism of the time, the longing for the far away, woody with oriental rose, mandarine and tonka bean. All the new scents are the evocation of a some part of Gabrielle Chanels life. For example, Bel Respiro is the name of the house close to Versailles that Gabrielle Chanel bought in 1920. 28 La Pausa was also her property, a vacation house by the sea with a view over Menton and the Italian coast. No 18 is the number la place Vendôme that Chanel saw from her balcony at the Ritz. Coromandels, Chinese laquered screens belonged to her favorite decoration elements, she lived surrounded by them. And 31 rue Cambon is of course the sacred spot where everything started and still thrives.